4. 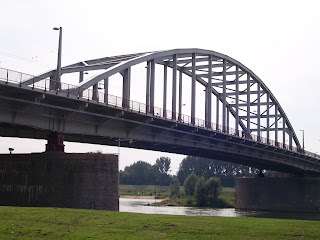 The Bridge at Arnhem: "A Bridge Too Far". 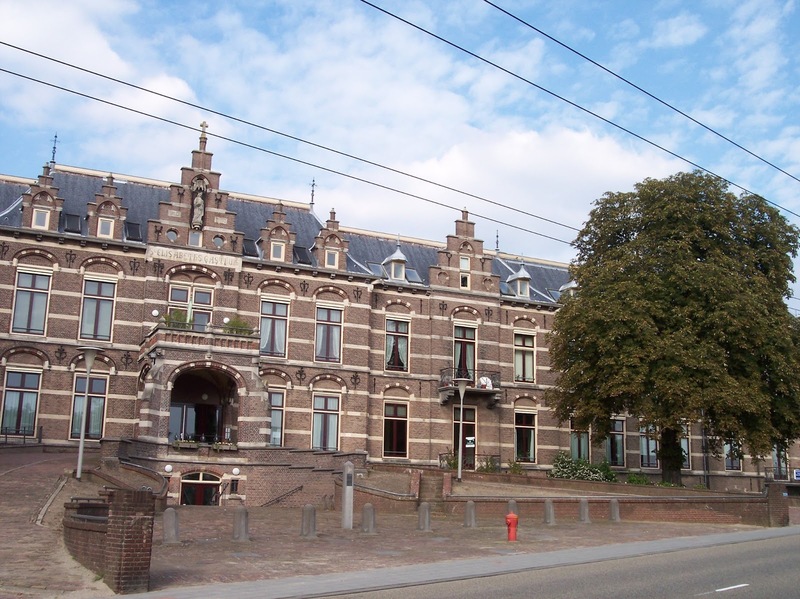 Originally opened in 1893, in 1944 St Elisabeth's Hospital, Arnhem (Photographs No 1 & 2 above) was one of the main hospitals in the district. 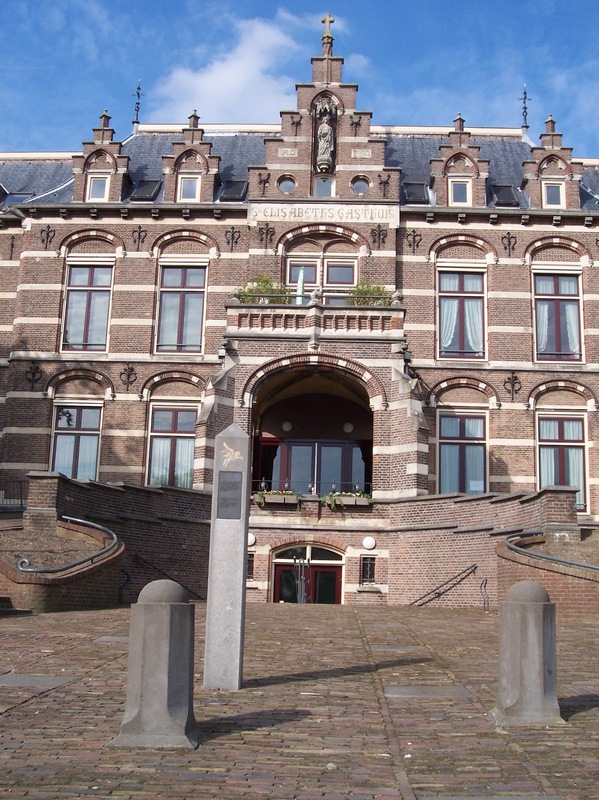 Beginning on 17 September 1944, during the Battle of Arnhem / Oosterbeek many of the wounded from the British 1st (Airborne) Division were brought here and treated while the battle raged all around the town. In particular, the hospital was the base for the 16th Parachute Field Ambulance. 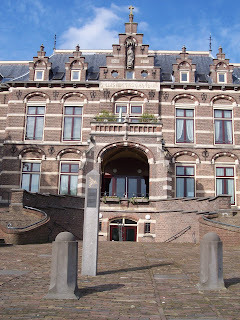 Some years later the building ceased to be used as a hospital. 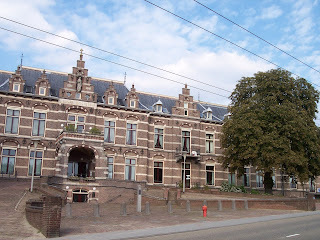 Subsequently, in 2000, the former hospital building was converted for use as apartments. Inside the front entrance to the building (Photograph No 2) are a number of memorial plaques. 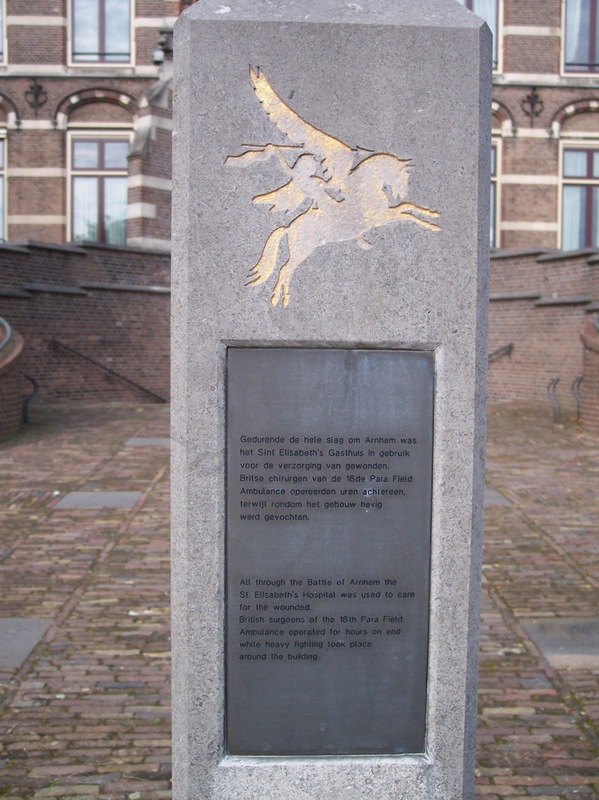 An Airborne (Pegasus) marker, written in Dutch and English, has since been erected outside the front entrance (Photograph No 3). 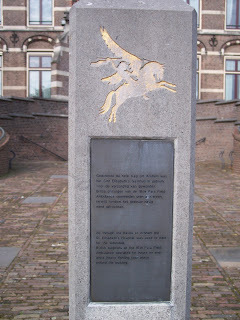 It is just one of many markers erected throughout the area where the Battle of Arnhem / Oosterbeek took place. The road bridge at Arnhem across the Rhine was the final Allied objective of Operation Market Garden which began on 17 September 1944. Some of the Allied airborne troops under the command of Lt.-Col. John Frost managed to reach the northern end of the bridge but failed to take the southern end of the bridge and were eventually overwhelmed by a far greater number of Germans. The Arnhem road bridge that was the ultimate goal of 'Market Garden' was destroyed by Allied bombers in October 1944. After the war the bridge was rebuilt in the same style and opened in 1948. The newly built bridge was named the 'John Frost Bridge' ('John Frostbrug' in Dutch) in honour of the commander of John ['Johnny'] Frost (1912 - 1993) who had led the Allied troops at the northern side of the bridge in September 1944.